Finding the money needed to start a daycare can be difficult, depending on your location and if you want to start a for-profit or non-profit business. There are many more grants available for those interested in starting a non-profit. When applying for daycare start-up money, it's important to create a business plan that outlines all start-up expenses as well as potential earnings. This will help grant foundations, banks and private investors decide if your business is worth investing in. You may need to take out a small business loan, personal loan or borrow money from friends and family to start your daycare business if there aren't any grants to apply for. 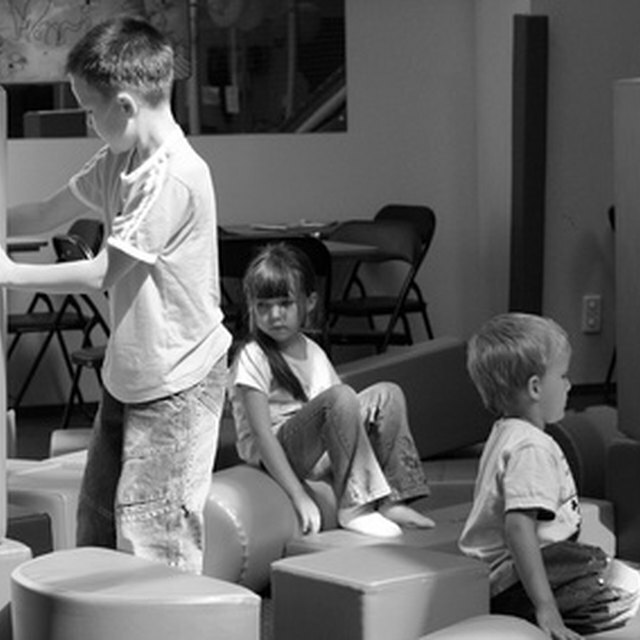 Decide whether you want to start a for-profit daycare or a non-profit daycare business. There are more opportunities for grants if you decide to start a non-profit daycare. Create a business plan. This plan should include basic costs including rent, utilities, equipment, supplies, employee wages, business insurance and marketing. Your business plan should also include how much you plan to charge for your services, if you will be participating in government voucher programs that help lower income families pay for daycare expenses and the amount of profit you expect to make for the year. Contact your local Department of Children and Family Services and ask if there are grant opportunities for you to apply for when starting a daycare business. Many local governments have monies set aside for community service based businesses as well as women-owned businesses. How Do I Get a Grant to Open My Own Daycare? Apply for a small business loan through a bank. You will need to bring your business plan, financial statements for the past three months and other documents that show you are responsible with money. Contact venture capital firms or individuals that grant small loans to new businesses. Venture capitalists usually charge a low interest and give you additional time to repay the loan. Use online resources such as grant databases, charitable foundation websites and government websites to find grants or loans to start a for-profit or non-profit daycare business. Apply for multiple grants as they become available to increase your chances of receiving start up money. Carefully review websites that ask for money in exchange for a list of grants available to small businesses.